The Flinders Highway from Richmond to Julia Creek has reopened to traffic after record rain and flooding. Transport and Main Roads Minister Mark Bailey said the reopening followed the fast-tracking of critical repairs after entire sections of highway had been washed away. “The Palaszczuk Government has moved quickly to fast-track essential repairs to reopen the Flinders Highway as soon as possible because we understand its importance to communities and local jobs,” he said. 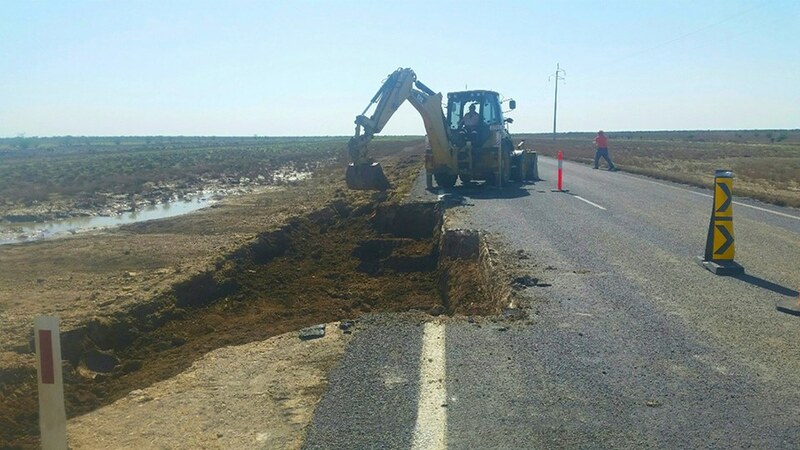 Mr Bailey said although the 150km of the highway between Julia Creek and Richmond was now open, repairs would be ongoing due to the severity of the damage. Regional development group MITEZ says restoring the North West’s transport network within a reasonable timeframe is crucial for local communities, businesses and industries that have already suffered significant losses. MITEZ (Mount Isa to Townsville Economic Development Zone) said it had been impressed by the way the State Government and many of its agencies were working to repair road, rail and other infrastructure damaged in recent flooding.